This is from the performance in Shinjuku last night. Go see them if you could. 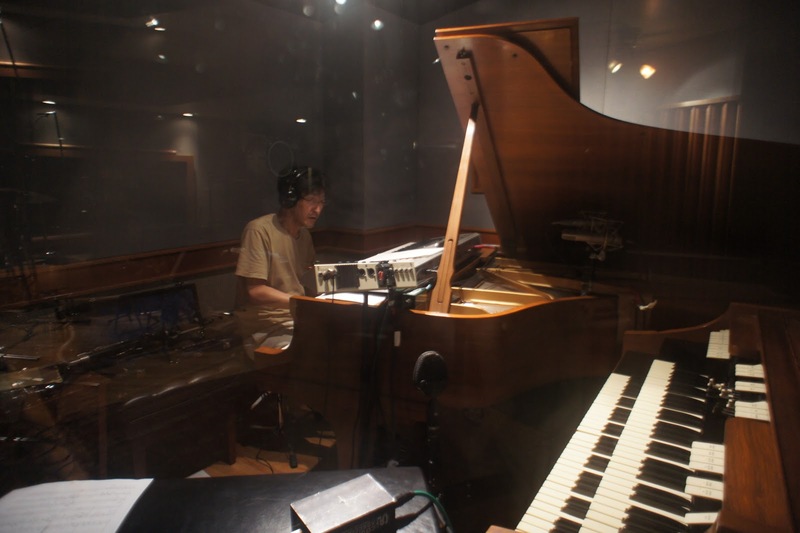 May 16 was the second and the last day of the recording session. Again, the following quotes are translated from Makigami's blog written last year. I woke up early in the morning and went to the other members' room. My room had a bedroom with a twin bed, plus a living room and a kitchen. The other members' were a triple room and a twin room, with a huge living room and a big beranda, and a balcony. The condominium was a property of the production company we had contracted with for a while long time ago, and it was conveniently located. I rang a bell, and Mita came out at door. He completed music for the song "Uragoe." No one seemed to write music for the lyrics called "Hitori Hokai" [Collapsed by Oneself]. There was a guitar in the living room, so I picked it up and make a music with it for myself. There was a big merit for all the members staying the same place. For example, Shimizu transcribed "Umaretate No Hana" [A Newly Born Flower] very quickly. He took only two hours for doing it in the morning. Incredibly efficient. At 11 o'clock, we moved to the studio by taxi. It costed $10. This time we recorded compositions mainly. "A Newly Born Flower," "Yuugata No Iesu" [Twilight Affirmation], and "Uragoe." We finished the session in the evening. I took dinner with my family and Kenji at cacio e vino. We took pizza. And that's how the session ended. It was a short period of time but very important three days for the band. Now almost a year has passed, and finally we could listen to the final product. The vintage Rogers set which Sato favored so much. Sakaide Masami, Sato Masaharu, and Mita Freeman. The members were out for lunch. May 15 was the first day of the recording session. The members visited the studio, EastSide Sound, for the first time, although Makigami had been there before for a Tzadik session with Ikue Mori in 2010. The following quotes are translated from Makigami's blog, written last year. At 10 o'clock, we arrived at EastSide Sound in NoHo. Marc, the engineer, greeted us with smile. The studio situated in a very unlikely location. Without knowing it, no one ever imagine there's a recording facility in such kind of neighborhood. 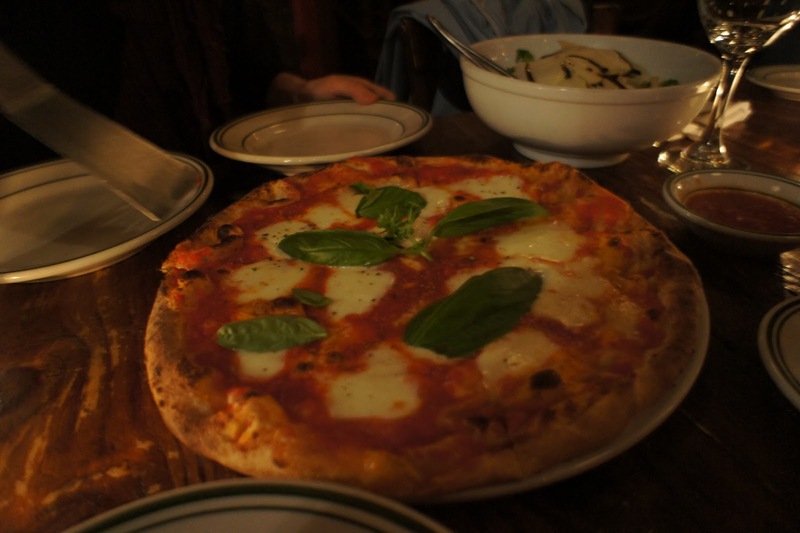 More surprisingly, everything was prepared almost perfectly at the studio when we arrived. Of course, we had exchanged some mail beforehand, but being ready to start recording at once was incredible, and I was thoroughly impressed with it. Moreover, there were some labels of instrument and performer in Japanese for each monitor. 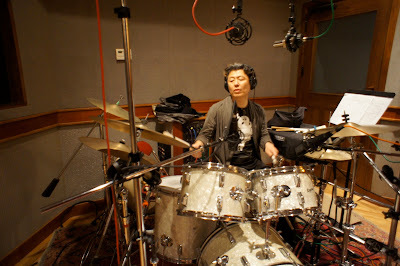 It seemed that they had a wide variety of drums as well, and Masa had chosen a Rogers set. 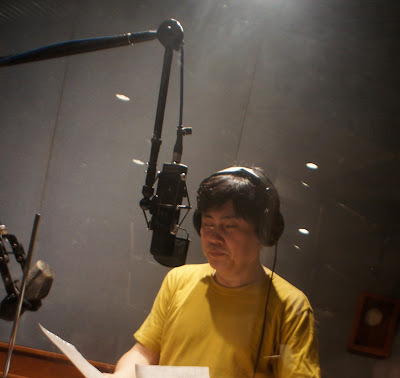 The vocal microphone which assigned for me was a very strange shaped one, having a huge square hole in the middle, and I inspected the mic so closely. I was told that the mic was called 'Blackhole,' and it was made in Latvia. There was another one for my cornet. It was a ribbon microphone made by RCA. Before noon, we had recorded four improvisational tracks, all were very interesting. An interview with Marc Urselli - the engineer of Hikashu's "Uragoe"
3 Grammy Awards winner, Marc Urselli is the man who recorded and mixed Hikashu's brand new album, Uragoe. In this interview with yours truly, Mr. Urselli talks about the band, the recording, and himself, including various projects of his own. He could be reached via web http://www.marcurselli.com. First of all, how you came to work with Hikashu? You recorded a Ikue Mori's session for Tzadik in 2010. Is it that when you met Makigami for the first time? That's correct. Ikue was working on her new DVD "Kibyoshi (黄表紙)" for John Zorn's Tzadik records. 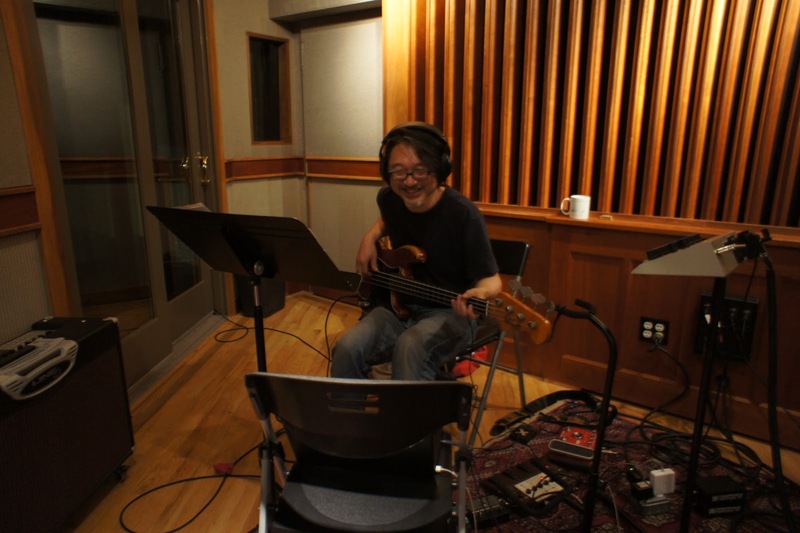 I record and mix all of Zorn's studio albums and a lot of the Tzadik releases by New York artists, so Ikue came to my studio EastSide Sound to record with Maki. We pretty much hit it off right away. 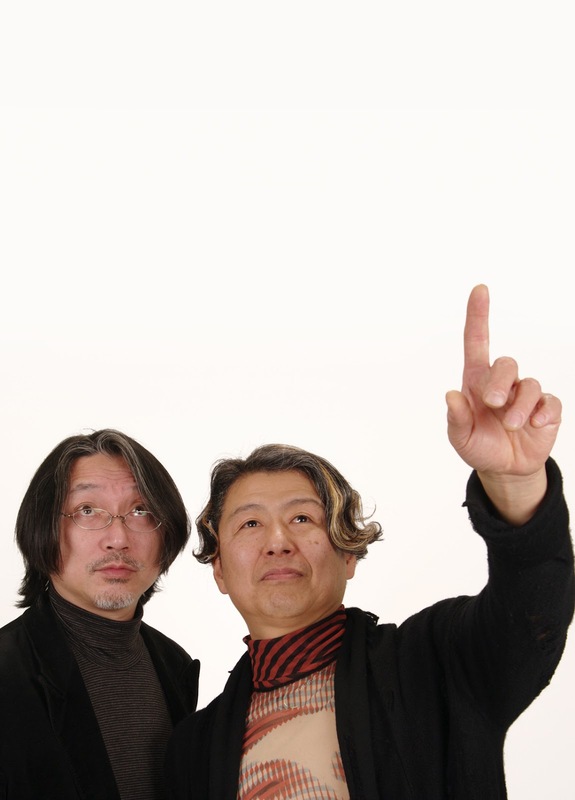 Maki san is a great guy, very smart and interesting and talented, and I enjoy working with people like that a lot! Last year you saw the band playing at Japan Society. How's your impression of the performance? I loved it. I wasn't sure what to expect but it was a great evening and it was great to see Makigami do his thing with vocals, theremin etc… His facial expressions are amazing too! So much vision and so much sound in their performance! Then you worked with them in studio. You guys spent two days together and recorded an album, and the members enjoyed working with you very much. They have been raving about you ever since the session. How did you feel working them in studio? It was an amazing two days. When people are cool and musicians are great things can only go well in a recording studio. The guys were really nice and I did my best to make them feel at home. There was of course some issues with communicating because unfortunately I do not speak Japanese but Makigami's english is great and Masami-san speaks English and even German (which I do speak a bit) and so we were speaking three languages at times! But the truth is, language was not a big barrier because the music was doing all the talking and there was a great vibe in the studio, very creative, very fun. Everyone was so relaxed that we even went out to lunch both days… usually that doesn't happen because there is the pressure of time in the studio, but we were all having a blast and took lunch breaks to go check out some amazing NYC restaurants. They also praised the studio, EastSide Sound. The atmosphere was nice, and the gear was all impressive. For example, Sato-san, the drummer, asked a vintage Rogers kit from your gear list beforehand, and he was very glad of seeing the actual kit because not only it sounded great but the condition was superb. Makigami-san used a brand new microphone from Latvia, and that sounded very nice, too. I can understand the importance of procuring good instruments for recording, but obviously the studio has access to a lot of exceptionally great gear. In the blog, you said the Eastside sound is your favorite workplace. Could you tell us something about the place? Yes! In my humble opinion EastSide Sound is the best studio in New York City and one of the best studios I have worked at, in the world. Sure, there are bigger studios and amazing locations but EastSide Sound has incredible gear, a uniquely versatile layout and an owner that cares! Lou Holtzman opened the original EastSide Sound in 1972 and 40 years later the studio is still around and making great records. Lou is a great guy (he's like a father to me!) 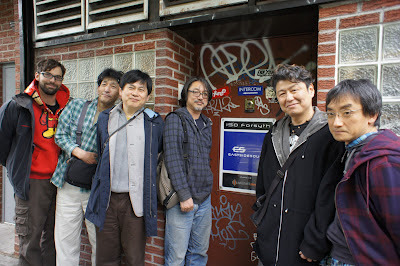 and he is a collector and restorer of vintage drum kits so Sato-san was in luck when he asked for a Rogers drum kit. 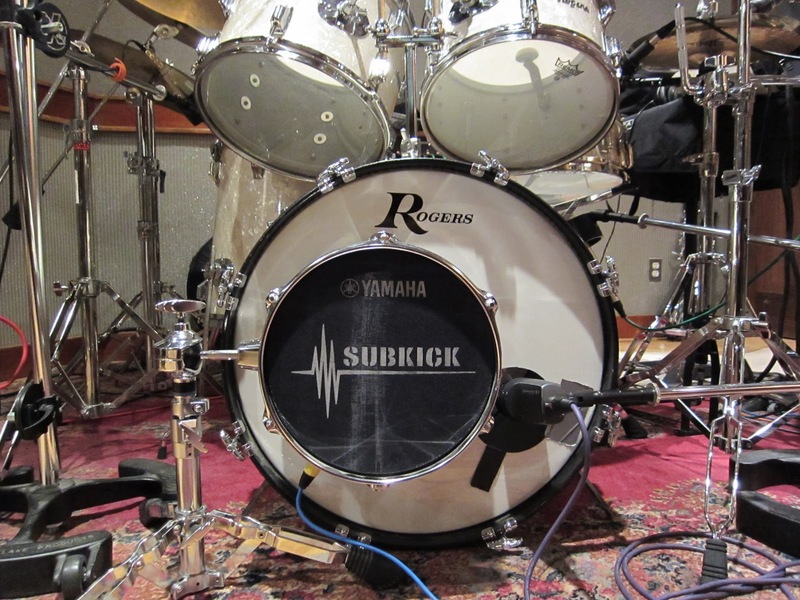 Lou keeps all his drums in great condition and the studio has two vintage Rogers drums sets available to all musicians. EastSide Sound has 6 iso booths around the live room and therefore it is possible to record up to 7 musicians completely isolated. Every musician gets a headphone mixer so they can do their own mix and they can look at each other through glass windows to maintain eye contact during performances. This is pretty unique… I've been to many studios and the most booths I have seen is 4, while EastSide has 6! I helped design the new live room so I am very proud of how flexible and versatile EastSide Sound is. As you mentioned the atmosphere is very nice, relaxed and chill, but it is a top notch world class recording facility that some of the greatest musicians in the world enjoy recording at on a daily basis. We have an amazing array of vintage and modern gear and the owner has a great collection of microphones from the 1940's to this year! For Makigami-san I used my own Black Hole microphone by JZ Microphones, a new company from Latvia which I endorse with pride. I love their mics and the Black Hole is my favorite one! It is a large diaphragm condenser with a hole in the middle (hence the name) and it has depth and warmth that few other microphones have. Another incredible feature of EastSide Sound is the Harrison Series Ten B console. It is an 100% analog console with total recall and digitally controlled automation on every single knob, fader and switch. There are 96 channels and you can automate faders, Aux sends, EQs, compression, gates etc and it all comes back when you want to recall a mix. All of this while keeping the warmth of the analog sound (no AD/DA conversion takes place!). This was extremely important when mixing Hikashu's record because after coming up with my mix I would send the guys files to listen to and they would write back comments via email. I then re-opened the mix, tweaked the mix and sent them a new file to listen to… Total recall made this very easy and quick! How's your opinion about the album? Right now I have listened to it only once and was surprised that's pretty rocking, more fierce than ever. Raw and wild in a good sense. And the rhythm section is extremely tight. It's incredible you guys took only two days for recording that. You also did the mixing on the album. On all recent Hikashu releases, Sakaide, the bass player, had been doing it singlehandedly. So when I was told that he asked you for mixing this time, I just saw how he really thinks highly of you. How's your approach for mixing the album? I was honored to hear that Sakaide wanted to me to mix the album. This shows great trust and respect and I wanted to make sure that they were 100% happy with my mixes. I started by mixing two songs, one of the heaviest and one of the quietest ones so that I could come up with two general directions for the sound. I sent them those two mixes and asked them to comment on the general sound. They liked the direction right away and so I knew we were on the same page about things. I just went ahead and mixed all the other songs. My approach to mixing the album was similar to that of many other mixes that I did. 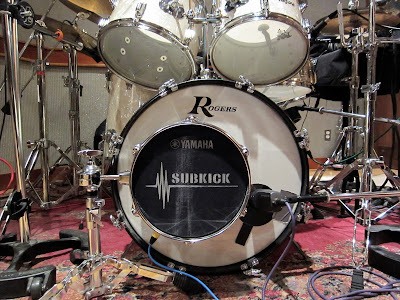 I record instruments pretty much flat and I pay close attention to using the right microphone in the right position and with the right pre-amp. Once I have good sounds on the recording mixing becomes much easier. I stay true to the original sounds and I just do a little bit of EQing and compression where needed. For EQs I use the board EQs from the Harrison board and for compression I mostly use the McDSP G Channel compression. During the recording I might use some hardware compressors like the 1176 or the LA-2, but during mixing I usually stick to the McDSP plugins. There's a very interesting episode that Sakaide recently told me about recording. 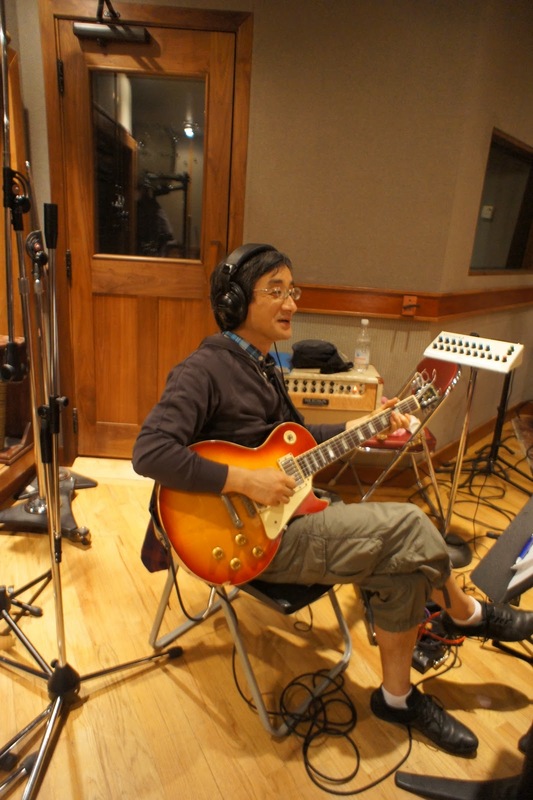 According to him, musicians tend to have images of sound in mind when playing, but it's very hard to capture that thing on tape. Merely recording a performance makes a different sound on recording, and to record it properly you have to figure out some way. And you just did that, succeeding to reproduce the exact sound in his mind, and that's quite an accomplishment, he said. When I was told this for the first time, I just thought that's great. But after a while, I began to wonder how such thing can be achieved, because it sounds like mind-reading or something like that. Being no musician, I just don't get what he really meant. What do you think of his remark? Are you conscious of such kind of thing while working with them? This is the fist time I heard this actually, he never told me this thing he told you, so I cannot say I was conscious of this during the recording. I think subconsciously we were all on the same page so things didn't really need to get explained much. The fact that there was great synergy probably helped me achieve the vision he had. I just did what I usually do to get the best sounds I can at EastSide Sound and once I knew they were happy with the sounds I knew we were going to have a great album. My concern during the recording was more about what might get lost in translation or might gone unsaid. 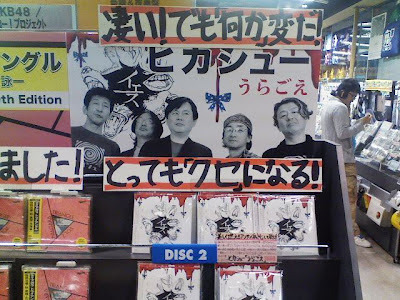 Westerners tend to think that Japanese people don't always say 'no' or don't always clearly say what they think and so I was afraid that maybe the band would not let me know if they didn't like something I was doing. But once I met the rest of the band I knew it would be an easy collaboration and I trusted that they would let me know if they didn't like something. They also told me that it was a pleasant surprise for them to find out their name on the console, in Japanese. It made them relax and feel like being at home. They clearly sensed you're really caring, and that made them very happy. Apparently you know how to treat musicians nicely. Well I certainly try to do my best. A professional recording studio is like a hotel, you have to make your guests feel like they are at home and they can do whatever they want. I wanted them to feel welcome and to feel relaxed so that they could focus on the music and the creativity. Usually when I work with artists from Japan I prepare labels for all the channels of the headphone mixers in japanese characters (instead of writing "guitar" I write "ギター"). Although I love Japan and I have always wanted to learn, unfortunately I don't speak Japanese so to do this I simply go to Google Translate (http://translate.google.com/) and I translate the names of the instruments that are going to be used in the session so that the Japanese musicians can feel at home and not have to worry about anything. I also have business cards with Japanese translations for when I go to Japan and people seem to love to receive them from me! Let's talk about yourself. Having read the biography on your site and the long interview on brutalism.com, we came to know a lot about your background. Particularly we find very interesting that you were pretty motivated from the very early stage of your career. I'll translate both documents into Japanese and would like to introduce you to people in the country. They're very educational, especially for aspiring youth. By the way, there's one thing not covered by them - could tell us your latest venture, Stridulation Records? It must be important thing for you because it surely takes lots of time and you look like being very busy. Yes I am extremely busy and I never have enough time for all my projects and ideas. Time and money are the enemies! Stridulation Records is one of my latest projects. I've always wanted to start a record label because I felt the urge to support the scene that has supported me. It is time to give back to the community that has given me so much and I decided to do it in the form of a label. Because I don't have enough time to do everything alone I partnered up with two great guys from Norway and from Italy. Eirik Havnes is a festival organizer and electronic musician, very smart and cool guy in Trondheim. Fabrizio "Fabban" Giannese is a black metal musician (founder of the band Aborym) whom I've known for years and lives in Rome. Together we plan to release very few but very special albums in extremely unique, beautiful and limited editions. I also plan to start two concert series in New York, one at my apartment and one at EastSide Sound. 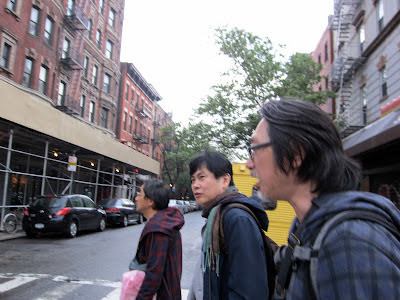 Another new project I have is a taiko-metal band with drummer Tim Wyskida from Blind Idiot God and Khanate and taiko player Kaoru Watanabe from Kodo. I play distorted 12 string bass. We are currently rehearsing and writing songs for our first album and hopefully a tour in Japan if we can find somebody to help us get over there! It seems that you have some knowledge about Japanese language. Where you learn that? Have you worked with other Japanese artists? Or have you been in Japan? Anything to say to people in Japan? I absolutely LOVE LOVE LOVE Japan. I would love to move to Tokyo for a few years but (un?-)fortunately I have too much work in NYC to leave. I have been to Japan 3 times and can't wait to go back. I have worked with some Japanese artists in the past (Akiko Yano, Chihiro Yamanaka, Sayuri Goto and I still often work with Ikue Mori, Kaoru Watanabe and others from the downtown scene) but unfortunately, as I mentioned earlier, I don't speak any Japanese except for a few random words (Domo, Konnichiwa, Sayonara, Sumimasen, Mizu and Matcha Ice Cream o-kudasai!!!). Any comment to the band, their fans, or just anything you'd like to. I would love to work more with Hikashu in the future. I would actually love to do more work with and for Japanese artists in general as well. If there are any artists based in Japan who would like to work with me I will gladly come to record in Japan and/or mix their album at EastSide Sound! "Ikirukoto" is an album which could be descibed as an overall representation of the current line-up. It's like textbook. So, what "Uragoe" could be expressed? You may ask. I would answer the question as, it vividly captures an undocumented side of the band. That is, they are a tremendous live band, and the album clearly shows that. In short, this album rocks. Very heavy, more fierce than ever. The album has 5 compositions and the rest are improvisation. The songs are all great, of course. Only "A Newly Born Flower" is a ballad. The title track and the theme part of "Twilight" are in mid-tempo, and the rest are fast or heavy numbers. Most of the improvised tracks are somewhat short but striking, and there's a surprise in the end - the last track is a very lengthy jam session (12 minutes!) and you could see how tight the rhythm section is. It's very organic - the rhythm constantly moves back and forth but it's never been lost. And that's an aspect of the band documented here for the first time on record. Long jam is frequently featured at their gigs and now those who cannot see them live can taste a slice of it. Talk is cheap. Go out, get the album, and experience how hard the band rocks if they want to. The new album is coming real soon and the band looks getting some press appearances recently. The first of them is Time Out Tokyo. A long and nice, very informative article. Well done. And thankfully, this humble blog got an honorable mention. And if you are in Tokyo area, do not miss a gig tonight. New songs and some fresh improvisations. It's going to be a wild evening, and do not forget to check out the new album. 34 years into their career, the 'pataphysical rock' band led by idiosyncratic vocalist (and sometime theremin player) Koichi Makigami seem to have hit a purple patch. 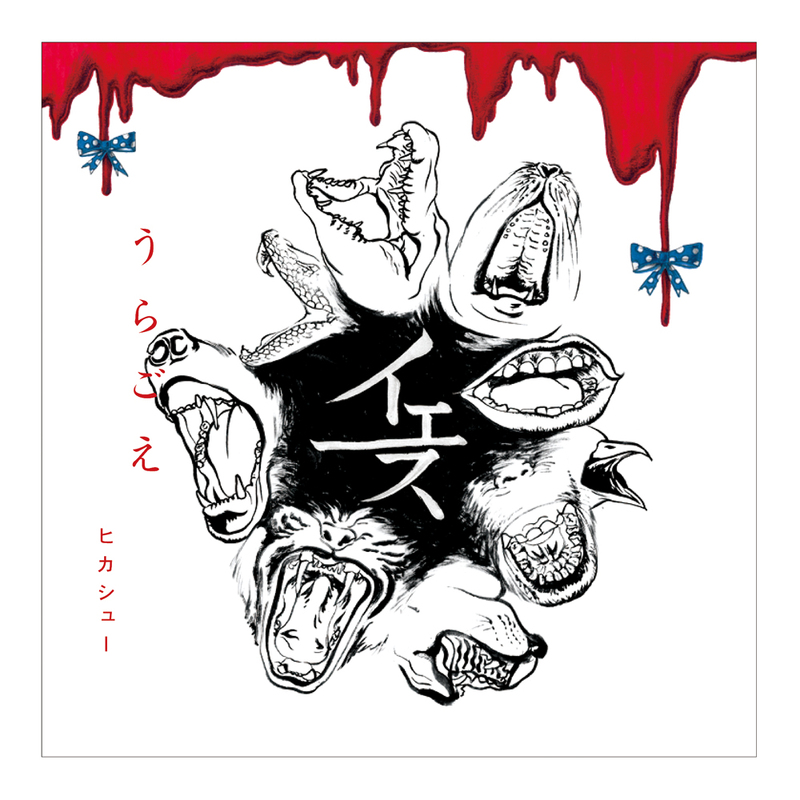 Hikashu release a new album, Uragoe, on April 8 (yes, on a Sunday), and they'll be marking the occasion with a gig at one of their favourite stomping grounds, Kichijoji's Star Pine's Café. Expect new wave pop, vocal gibberish, extended rock improvisations and maybe even the odd jaw harp solo.